We offer a huge range of handpicked fabrics from around the world from Italian wools to premium English Wool fabrics. With over 5000+ fabrics in stock, we are the largest stockist of fabrics in Sydney. 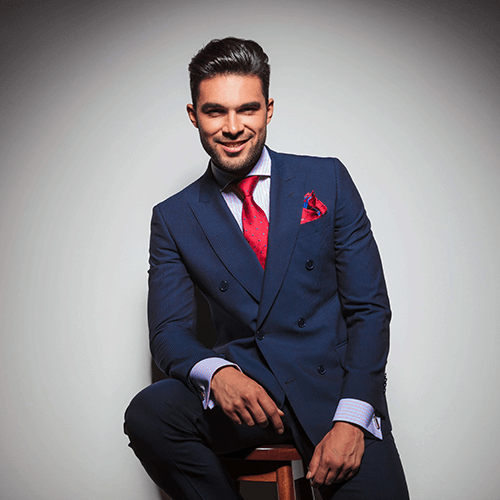 So be it a wedding suit, formal suit or business suit if you have got a style in mind we can turn it into a reality. Pick Edge stitching refers to the hand finished perfectly detailed stitching that runs on the edge of lapel and jacket. Through this stitch your suit would look absolute and would have a rich finish. 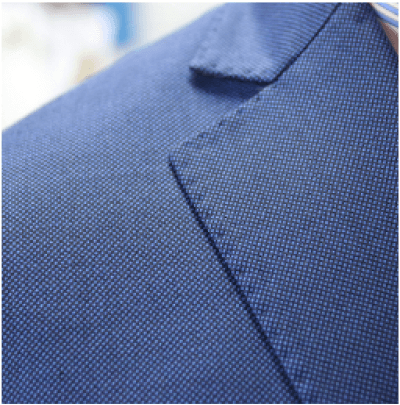 The differentiation of a good handmade stitch to the other is the proximity to the outer-edge of the suit. Pick edge stitching is also a sign of a good quality bespoke suit. *Notice how this line of stitching continues on the underside of the lapel and follows the edge of the suit. 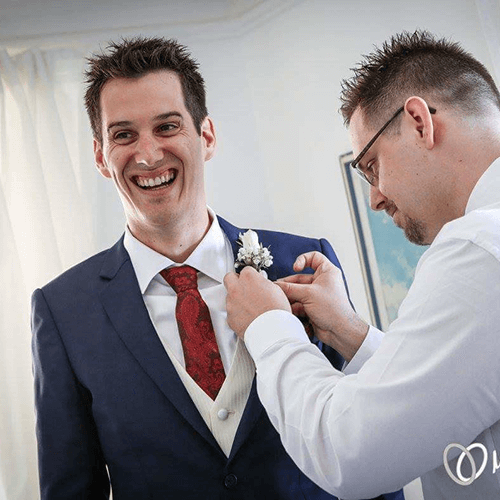 Functioning button holes or Working button holes can be found on our bespoke Suits. A working button hole is a sign of a high-quality suit and also that the suit is either bespoke or high-end. You may leave the last buttonhole undone, if you wish the world to know you are wearing a fine custom tailored suit. What is your suit saying? 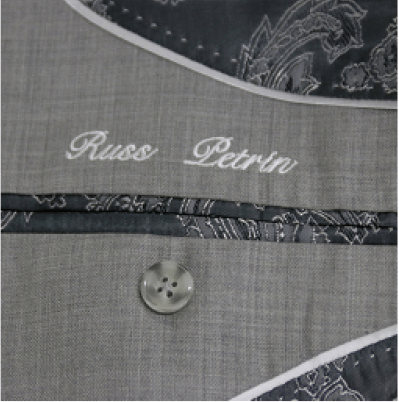 Monogramming is a classic way to personalize your Bespoke suit and we at Bentex suits help you make ‘your statement’. Though the art of monogramming has been around for centuries, however, today’s use is as much about personal expression as it is about identification. Tip: Have you wedding date monogrammed on your suit to give your wedding suit that extra little touch! This even may help you to remember your anniversary better! How Does Bentex Suits Work? Choose your Fabric & Design Options. Get professionally measured by us.